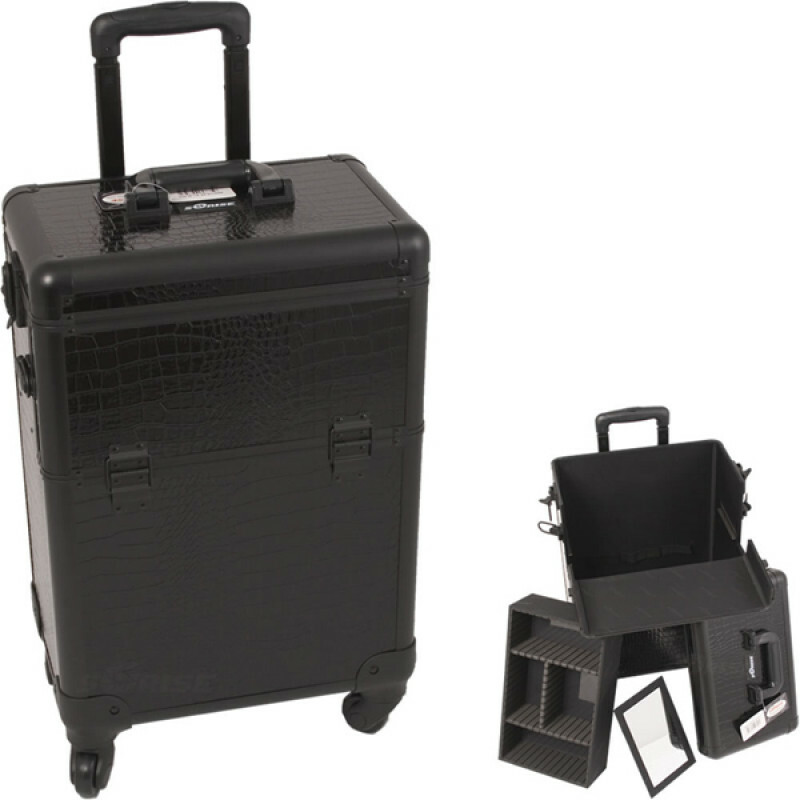 The E6301 Sunrise Black Croc Professional Rolling Case with Hollow Space has an aluminum finish, and a lock & key set. Protect your cosmetics with this Sunrise case. 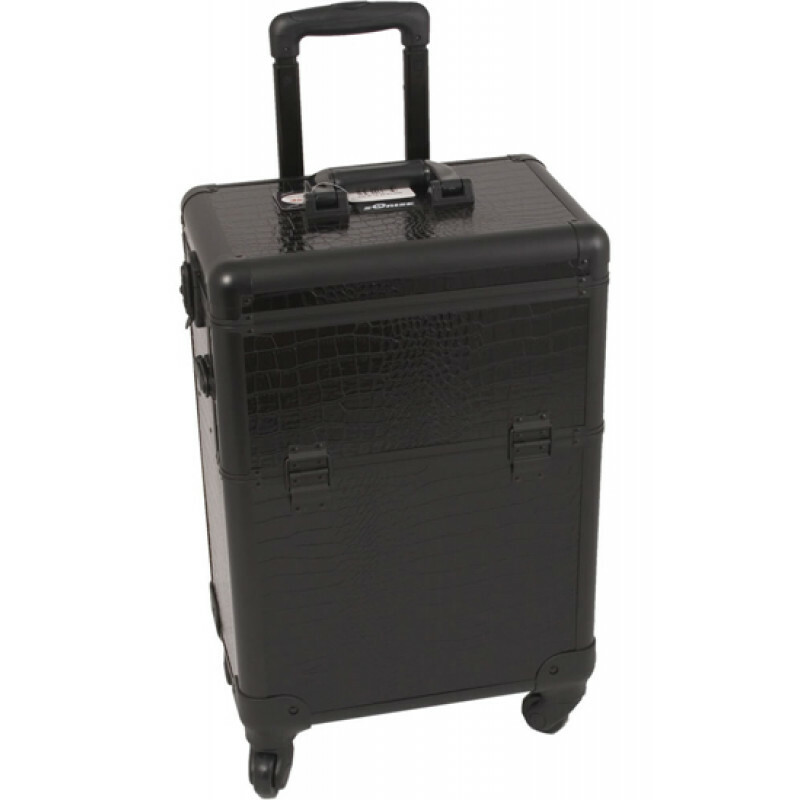 360 degree rolling wheels, and 42" telescoping handle make this case quite mobile. 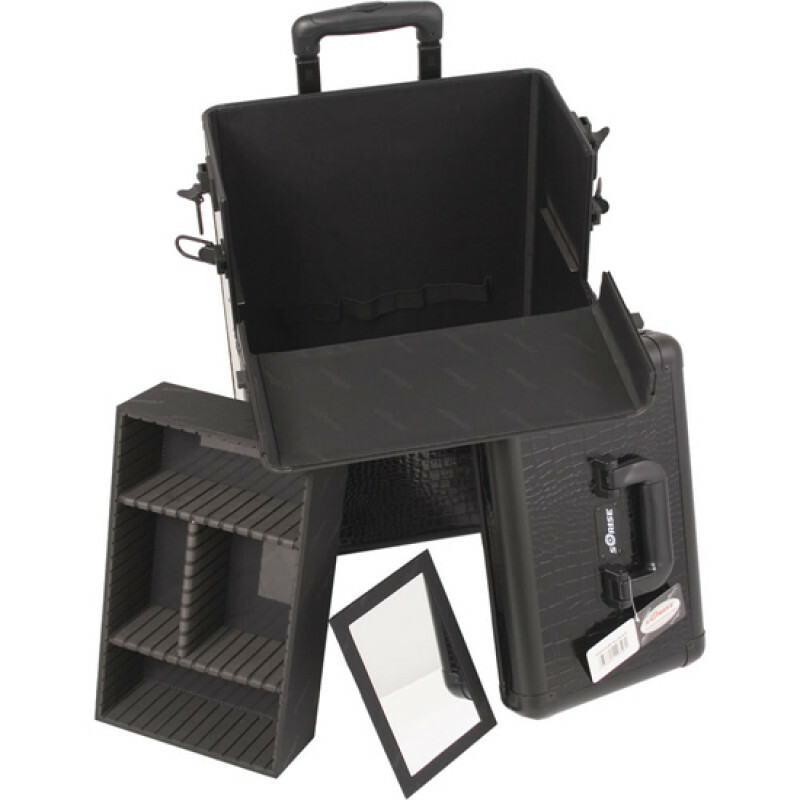 Attachable to any E series Top case. Total Case Dimensions (LxWxH): 14.5" x 9.5" x 23"
Removable Tray (LxWxH): 13" x 7.5" x 3.75"
Hollow Space Below Removable Tray (LxWxH): 14" x 9" x 11.5"